The Awami League does not want to see the BNP to become weak, said the party’s General Secretary Obaidul Quader. “We don’t want to see them weakened. Rather, a strong opposition is healthy for the democracy,” the ruling party leader said on Saturday (Feb 9) at the party chief’s Dhanmondi offices. He, however, added that if BNP becomes weak because of its negative politics there is nothing that they can do. 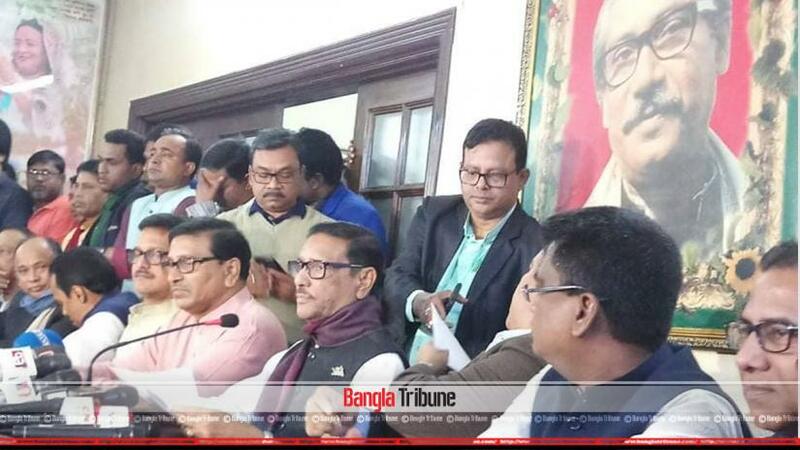 “We have learned that a number of people from the BNP will be contesting the Upazila polls as independent candidates,“ Quader said. “BNP is using redundant negative politics as their means,” he added. The Election Commission announced schedules for the first two phases of the Upazila Council elections setting Mar 10 and Mar 18 for the voting. In the first phase, voting will be held at 87 upazilas in the 12 districts of Sylhet, Myemnsingh, Rangpur and Rajshahi. The voting in the second phase will take place in 129 Upazilas in 129 districts of five divisions. For the very first time, Upazila elections will take place on party lines where the candidates will contest with a political party’s registered symbol.